At some stage in your build you will require some ready mix concrete (RMC), most likely for your foundations. If you’ve opted for Insulated Concrete Forms as your build method then you’ll need a whole lot more! In its wet form, concrete is versatile and workable. It cures to produce a durable material with a high compressive strength. Concrete consists of water, cement, mixed aggregates and other admixtures. When mixed, a process called hydration occurs as the water reacts with the cement and the materials are bonded together resulting in hardened concrete. Ready mix concrete is batched at local plants and delivered to site in mixer trucks that continue to mix the concrete during its journey. It arrives wet and is poured in situ into formwork (moulds) or directly into trench footing excavations. It is then tamped or vibrated to remove excess air, finished, protected if necessary and left to cure. Concrete is produced to a prescribed mix design in order to achieve particular characteristics both in terms of its workability during placement and its cured state. The mix design and strength class will be specified by your designer in accordance with the structural requirements, building regulations and the standards of your warranty provider. Improved workability without increasing water content. Acceleration or retardation of the hardening process. Inhibition of the corrosion of steel reinforcement. Depending on the application of the concrete, it may be necessary to incorporate steel reinforcement bars, mesh or fibres. Although concrete has inherent compressive strength, reinforcement is often required to improve its performance under tension. Any reinforcement or additive requirements will be specified in your design package. Speak to your concrete supplier or builders merchant about your needs. 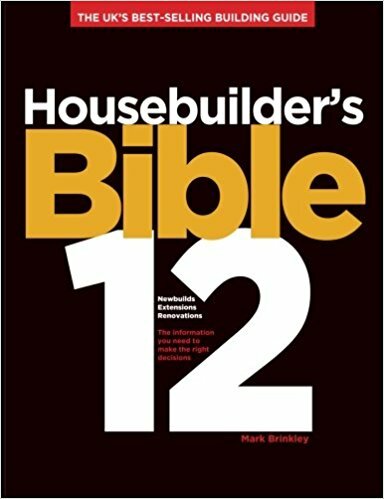 As with most areas of the construction industry, the concrete industry has recognised the significance of the self build market and they have dedicated help and advice for self builders including DIY guides for placing your own. In addition to plant batching there are a number of companies who operate specially designed concrete mixer trucks that store all the raw materials on board. Once the truck arrives at your site, the ingredients are mixed together on the truck to your needs. For smaller amounts of concrete this method can reduce wastage, over ordering and part load charges. Orders for concrete are placed in cubic metres or ‘cubes’. You’ll need to calculate the volume you require from the width, length and depth of the area to be filled. Make sure you order early to avoid delays to your schedule. A standard concrete truck holds 6m3 of concrete. If you order less than this, part load charges will be applied for each cube of empty space. All the usual rules apply for dealing with suppliers and deliveries (see our tipspage), so make sure access is adequate and you are prepared to receive the delivery. You’ll need men and equipment on site ready to move concrete around, compact it and finish it as required. Some concrete suppliers have fold out remote control conveyor belts or pump arms on the trucks that are very useful for pouring concrete where you want it. If you are pouring large amounts over a large area you may need to consider hiring a concrete pump. The driver will want to wash out his truck before leaving your site so have in mind where you would prefer them to do it or more importantly where not to! Concrete splashed all over your facing stone or running onto your neighbour’s drive is far from ideal! In order to ensure that the hardened concrete reaches its intended performance strengths, it is essential that the correct procedures are followed for placement. Ready mix concrete suppliers provide good information on placement, curing and working practices for hot, cold and wet weather. 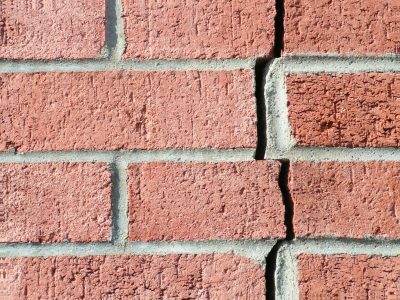 On occasion and depending on your design, you may be required to carry out testing to ensure that the concrete achieves its desired strength. Contact a UKAS (UK Accreditation Services) accredited concrete testing company who will make cubes of concrete in moulds from the same batches used on site. These are allowed to cure then crushed in a laboratory to determine their compressive strength. Have a look at the rest of our materials section for tips and information on other materials and suppliers that you’ll need during your self build.